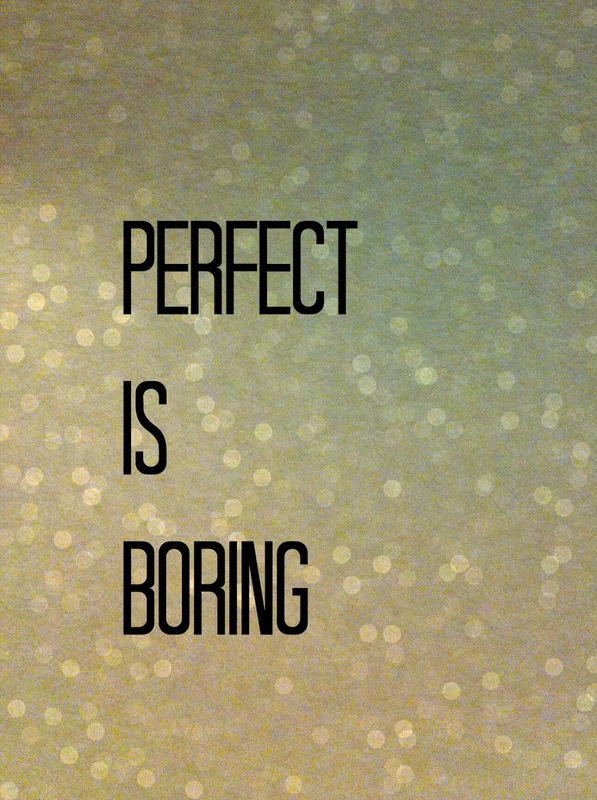 Since starting this blog, I've become really good at being okay with not being perfect. It's kind of my thing and I really own it. But yet, the other night when I had a few mom pals over, I found myself apologizing for my imperfection. And making jokes about my crappy crafts. Whaaaat? I thought I owned this imperfect stuff. So frustrating. It's like going to therapy for years, making progress and then circling back to the same damn issue (my mother, waaaa). Some of my mom pals talked about their need for perfection or their need/desire/fear not to put out a certain image of perfection. Between my relapse and their worries, I want to start a movement to embrace imperfect. This movement is about forgiveness, acceptance and being real. Whether it's pride in our crappy crafts or admitting that our houses and lives are chaotic and messy...let's rise up and feel okay about it all. To take it even further, let's not judge each other. Yeah, don't do it. You forget the snack for your kid's basketball team because you are running your other kids all over town and got out of work late and just felt so happy to get to the game on time? Don't worry about it. The kids will most definitely be okay without a snack. The parents should understand and give each other a "been there" look instead of "how could you?" face. You tried but the ahhhhhmazing appetizer you were going to bring to impress the hell out of everyone at the party turned out far less amazing than Pinterest promised, who cares? Buy Oreos on the way to the party and I promise at least one person there will be really, really happy. And hey, you happy person at the party, tell the world that you're glad "someone finally brought Oreos as an appetizer!" Come on, let's not only accept ourselves but encourage and support each other. The craft I was apologizing for the other night was my party favor. 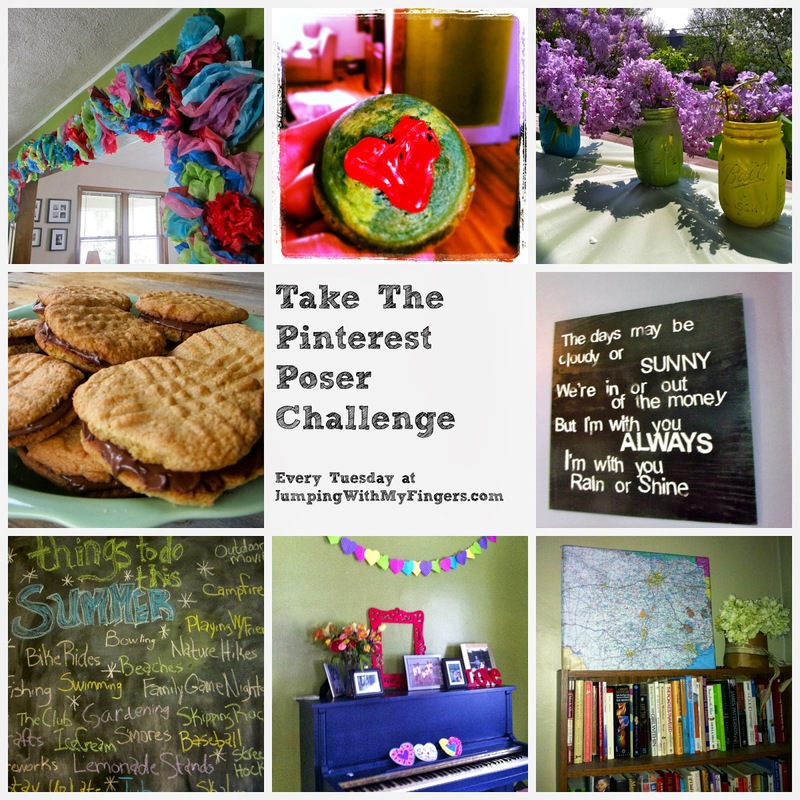 It was a Pinterest-inspired, Mod Podged, wordy, imperfect magnet. I hate having people over and not giving them something to take home, but to be real and honest, I ran out of money to go buy a cutsie little favor. 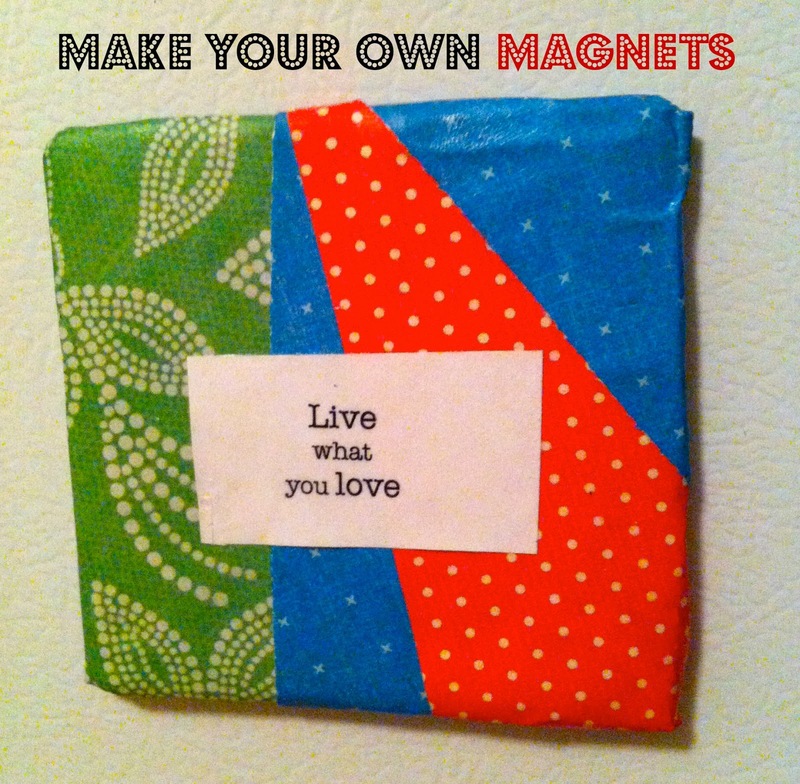 So, I made this magnet and now it's this week's Pinterest Poser Challenge* and sort of a symbol of the imperfect movement. It was easy and I used all materials I already had. I did this craft while laying in bed watching the State of the Union. Every now and then I would favorite or retweet something on Twitter, but was too engrossed in my craft to be witty or interesting myself on Twitter. I measured out 3 x 3 squares on the poster board and then cut them with my box cutter. Even using a ruler and being very incapable of drawing a straight line, utterly incapable. But I'll own it, they weren't perfect squares. Mod Podge-- I am obsessed. Then I cut up all different colors of scrapbook paper and Mod Podged the hell out of the paper onto the square in no real pattern. I folded the paper over the edges and Mod Podged that too. The corners bulged out and were folded crookedly, but I own that too. If you ever receive a perfectly gift-wrapped present from me, you can assume the store offered free wrapping because I am incapable of that too. Before I got comfortable being so real, I might have blamed the bad gift wrapping on one of my kids. Yeah, I might have done that a couple times. I printed out a quote that I thought went with the theme of my Mothers in the HOOD party--Live What You Love--and Mod Podged that on top of the scrapbook paper. Then I Mod Podged over the whole thing again. I used Mod Podge to glue the magnet strip on the back too. My mom pals said they liked them. I hope so. I hope if they use them on their fridge they are reminded that it's okay to be real and imperfect--mismatched colors, crooked lines, funky corners and all. Rise up imperfect people! Do you want one of my magnets? I'm giving some away. Leave a comment below (with your email)telling me what realness you are owning right now or what you wish other moms would do to support each other's realness and I'll send you a magnet. Or send me an email. Come on, let's start a movement. Games are fun. Come to us and play the best online casino games. Excitement and emotions are what a casino is.